Able bodied seaman, a member of the crew who is able to perform all duties of an experienced seaman. Means “at Value” a rate of freight based on the value of the goods. Bill of lading. A document signed by the carrier which acts as a Contract of affreightment, a receipt and evidence of title to the cargo. Charterers hire a vessel without crew. Charterers are responsible for commercial and technical management. Bareboat charter – Owners lease a specific ship and control its technical management and commercial operations only. Charterers take over all responsibility for the operation of the vessel and expenses for the duration. Dirty water which collects in a ship’s bilges and may be contaminated with small quantities of oil from engine room drains, etc. Percentage of freight payable to broker. (by owners in C/P’s) or applicable to sale or purchase. Vessel which is too large to navigate the Panama Canal – appr. 80 000 – 175 000 dwt with a beam of between 42 and 46 metres (the Panama Canal has a max. width of 32 metres), therefore being forced to voyage around the Cape Horn. Collective bargaining agreement (Salary scales for different nationalities of seamen) Used by crewing. Contract of affreightment – Owners agree to accept a cost per revenue tonne for cargo carried on a specific number of voyages. Organization of a group of lines operating in one trade where the companies agree to use a common tariff. See also Liner Conference. Damages for detention. Penalty if cargo is not ready when ship arrives for working (1st day of Laycan). This is not detention which is charged for ships time on delay. If the cargo is ready there is no DAMFORDET. Demurrage (quay rent). Money paid by the shipper for the occupying port space beyond a specified “free time period. The money payable to the owner for delay for which the owner is not responsible in loading or discharging after the laytime has expired. 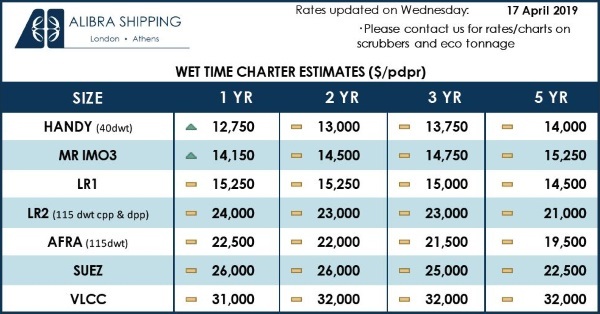 The money payable by the shipowner to the charterer if the ship completes loading or discharging before the laytime has expired as detailed in a charter party. Also referred to as despatch money. Ex. works. Means that the seller delivers when he places the goods at the disposal of the buyer at the seller’s premises or another named place (i.e. works, factory, warehouse, etc.) not cleared for export and not loaded on any collecting vehicle. Free in/out. Freight booked FIO includes the seafreight, but no loading/discharging costs, i.e. the charterer pays for cost of loading/discharging cargo. Free in/out stowed. As per FIO, but excludes stowage costs. Free in/out and trimmed. As per FIOS but includes trimming, e.g. the levelling of bulk cargoes. FIOS includes seafreight, but excludes loading/discharging and stowage costs. A mark indicating quality or excellence. 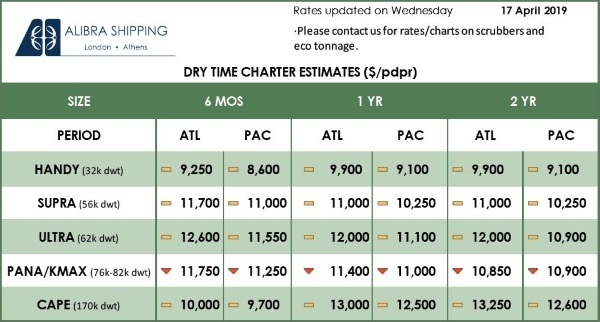 Dry bulk vessel of appr. 35 000 – 50 000 dwt. Dry bulk vessel or product tanker, 15 000 – 50 000 dwt. A method of measuring the space capacity of ro-ro ships whereby each unit of space (linear meter) is represented by an area of deck 1.0 meter in length x 2.5 meters in width. To hold goods in position by use of ropes, wires, chains or straps etc. Latitude. The distance north or south of the equator measured and expressed in degrees. A right in the propery of a ship, conferred by law for seamens wages, salvage, etc. Detention. If loading completed sooner than expected, then saved days will not be added to discharge time allowed. Protection and indemnity (Responsibility insurance for the shipowner). Detention. If loading completed sooner than expected at load port, then days saved can be added to discharge operations. Are bearers (timber or steel) positioned under the cargo to enable forklift handling at port, and for ease of rigging and lashing on board ship. It is paramount that a vessel is stable in all aspects at all times. When cargo is loaded/discharged, the stability is monitored by a computer, which takes into account the weight and position of cargo within the vessel. Standards of Training, Certificates and Watchkeeping. Standard that crewing have to comply with. For more information please look at www.imo.org (Human Element – Training and Certification). Subject to enough merchandise (availability of cargo). Also, the forward most part of the bow. A subsidiary is an investee where the enterprise owns more than 50 per cent and the parent’s power to govern the financial and operating policies or has control over the other enterprise. Person employed by a ship owner, shipping company, charterer of a ship or shipper of goods to supervise cargo handling operations. Often called a port captain. Time charter. Owners agree to hire a particular ship for a set length of time and provide technical management, crewing etc. Very Large Crude Carrier – oil tanker between 200,000 and 300,000 dwt.